Relaxed fit with modest A-line silhouette. Triple stripe crochet detail along front bodice with bow accent along the waist. Shell: 96% cotton, 4% elastane. 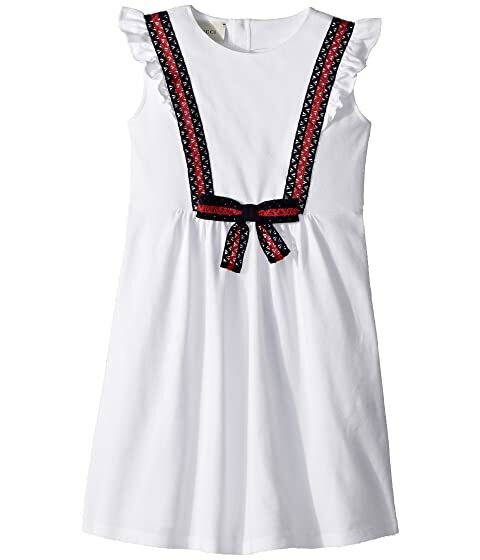 We can't currently find any similar items for the Dress 503462X9N98 (Little Kids/Big Kids) by Gucci Kids. Sorry!